Most freelancers are so occupied with work both day and night. Some of them will have little time to go out to watch movies or merely to unwind. This is because of a freelance designer’s nature of work. The computer would be the first thing he would face when waking up in the morning and the last thing he would look at before sleeping. That is the reality for freelancers. But taking a break has to be considered. It is one way to stay healthy and fit while you are busy working. 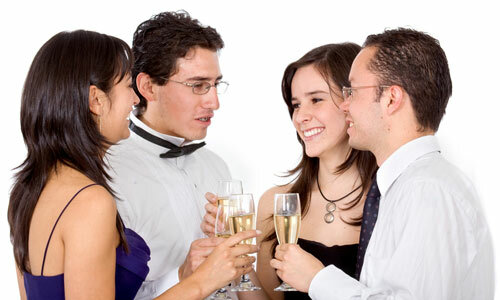 You may say that you already have so many friends but it is different when you meet new ones. This would mean that you have extended your network and you have added a new connection. Meeting new people from other places would not only be exciting but it can also help you in a lot of ways. You may not be able to appreciate how it can help you at the moment but time will come that you would remember that you have met someone in that place whom you can count on when you need help. 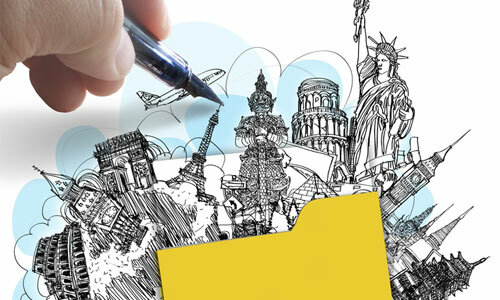 Travelling can also help you come up with new ideas. You might be sick of the same old things that you use for designing and you want to think of something new. When you visit other places, you will get new ideas from the new things that you see. Even the beauty of the place can already inspire you to think of ideas that you haven’t thought of before. Since life is an unending learning process, you’ll get to learn not just by reading blogs and resources in the internet but also through the things you’ll encounter during travel. Even merely talking to someone from the place gives you new things to learn. You’ll learn about their culture, their history and many others. You will be educated about their place. You can also learn merely by looking at how some businesses work in the area. This could be one of the best benefits one can get from travelling. Anyone would like to relax from his busy schedule and work. It would be a good way to refuel one’s energy. Looking at the wonderful views of the place you visited is already a good way to relax your mind. 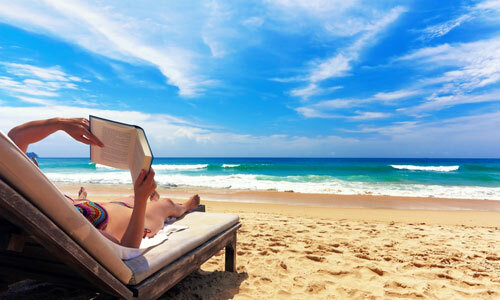 You can also do some reading while you sitting on a comfortable beach chair with the ocean’s waves as you music. Isn’t that very relaxing? Anyone would really want to experience this once in a while. You’ll never know how this could help you to be yourself again and even to improve yourself a lot. Inspiration is just anywhere. But maybe you have seen so much of your place already. Why not take a look at what other places have in store for you? You can get inspiration through the people you meet, the scenic views you see, the art works that shows their cultures and many others. 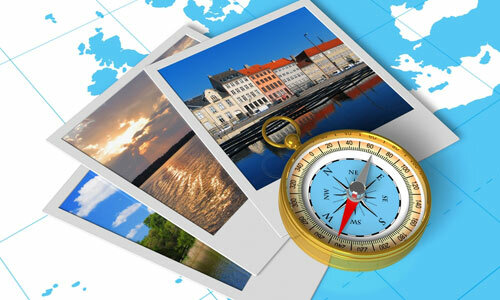 You will surely be amazed on the wonders travelling can do to keep you inspired. When you get home, you would surely be able to perform a lot better. 6. Connect to other races. Not everyone is given the chance to do this. You will be able to appreciate the diversity of people and you will get to love what you will learn from them. Knowing people from a different race is like reading a new book or seeing a new movie. It is can even make you appreciate more what you have and also praise what other races have. You can even acquire a better perspective on equality. Doing things that you do not usually do can give you a different experience. 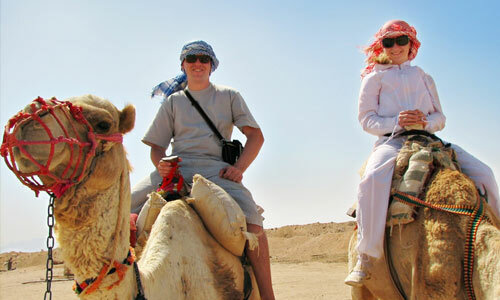 There are things that you cannot do in your place like riding on camels and other exciting adventures. These new experiences can make you feel happy, thus giving you a new attitude when you get back to work. Life in other places is slower than your life in your own home. That is because you are merely enjoying the experiences you have there and you are not occupied doing some work. Taking a break is important. Your mind and body needs it. So, do not hesitate to leave for a vacation to shut off a bit. You can read more about this on our post Reasons Why One Should Consider Taking a Break from Freelancing. From that article, you will be able to realize how important it is to step away from work once in a while. 9. Appreciation to the beauty of other places. Every place in this world is unique from each other. Even urban and rural areas in your own place can give a different impact to you. How much more if you see the beauty of other places which you can only see on magazines and televisions before. It would give you a wonderful feeling that you were able to set foot on a place that you have dreamed of visiting. Appreciation is a good thing since it can bring in positive vibes in you, making you a better person and opening a better life perspective. 10. Regained enthusiasm and creativity. Well, this would be the overall result of an enjoyable vacation. You will be more creative and you will also be happier with what you are doing. When you get back to work, you will see that you have a different spirit to work on your designs and you can even have better outputs. Regained enthusiasm for work and for life can help you concentrate on work more and would also help you improve as a designer. Sounds good, right? Travelling is a great experience for everyone. It can be a good experience for you, too. So, why don’t you look for a place to visit, prepare your funds and pack up for week long vacation? Travel to places that you always dreamed of visiting. It can give great results for you. How about you, are you fond of travelling? What are the things you gain from doing it?